The community of Shafter enjoys savings, better public safety, and more educational opportunities with the municipal fiber network that we wrote about two weeks ago and discussed in last week's podcast. 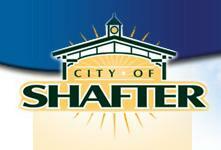 In 2006, Shafter spent $200,000 on its I-Net to serve local schools and government in the core of the downtown area. While the community had originally planned to build a FTTH network, the tumultuous economy dictated otherwise and the community adjusted its course. The community is now expanding infrastructure to several areas closer to the edge of town in order to serve local business. With next-generation fiber infrastructure in place, Shafter expects to attract several providers interested in serving businesses over its open access network. Completion is scheduled for the fall of 2013. 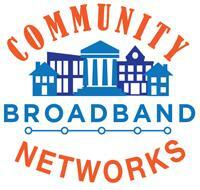 A 25 mile fiber backbone ring is now under construction and will loop to two industrial areas near the edge of town. Both complexes sit very close to the two main railroad lines that run through the town and provide easy access to transport. In addition to the larger loop, one of the industrial areas, will contain a 10 gigabit ring and the city will light two separate commercial rings to provide 1 gigabit service. This phase of Shafter's project will cost $1.5 million and required equipment will cost another $600,000. The network is underground, with 99% in city road rights-of-way. The entire path travels through greenfield areas so there is almost no infrastructure to avoid or remediate. General fund dollars, rather than bonding, borrowing, or grants paid for the entire open access network. We learned from IT Director Scott Hurlbert that oilfield services company, Baker Hughes, invested $70 million to build a campus in Shafter. AT&T serves the company now with copper lines but "they don't like it," says Hurlbert. A 2.1 million square feet Target distribution center sits nearby waiting to switch to the Shafter fiber network. Ross Dress-for-Less is now developing a 1.7 million square feet distribution center in the area and will likely take service from AT&T and from a different provider over the Shafter fiber for redundancy. CenturyLink's longhaul fiber runs through the Union Pacific railroad line and Shafter's network will link to it for external connections. Hurlbert told us there will also be a separate ring in one industrial area that is only for city security cameras, traffic control and for commercial customers specifically requesting a redundant diverse path.